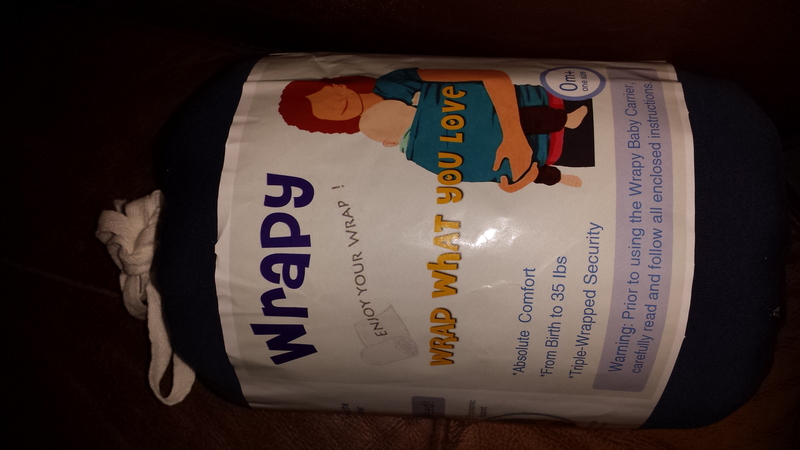 A few weeks ago, I was asked to check out the Wrapy Baby Wrap. The Wrapy is a cloth wrap, made of 95% cotton and 5% spandex. It will safely hold babies up to 35 lbs. The fabric is extra wide and is very comfortable. It is machine washable and dryer safe. I tried a sling wrap when my daughter was little, but didn’t like it very much. In the last few years I have seen many different brands of wraps come out, but since my daughter is too old for them I’ve never been able to try them out. So when Wrapy contacted me about the review, I asked my friend when has a 6 month old if she wanted to try it out. She agreed. She’s used wraps for both of her children, so she’s experienced in using them. Overall, my friend really likes it, and she’s been using it often. The fabric is soft, stretchy, and breathable. You can check out the wrap on Amazon. It sells for $34.95 (+ shipping). I also have several promos codes available to get 15%. Email me and I’ll send them to you. Last updated by Angela Rogers at April 8, 2016 .